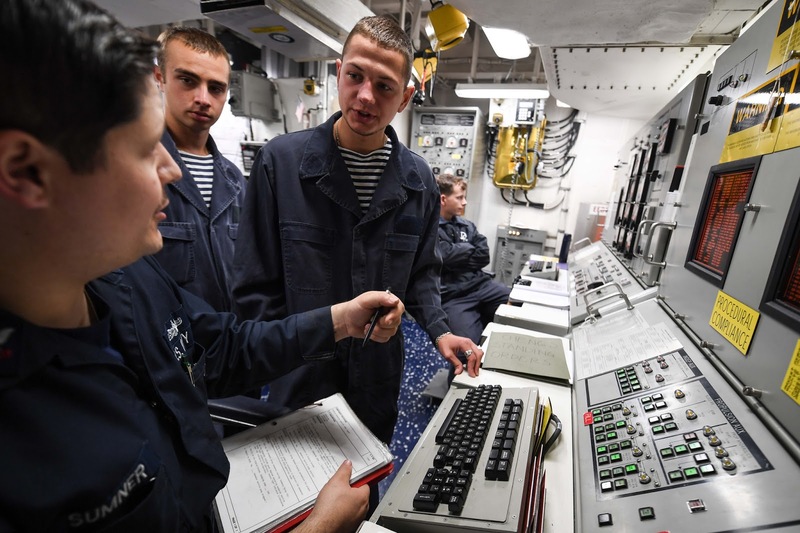 Ukrainian midshipmen from Nakhimov Naval Academy are training aboard the Arleigh Burke-class guided-missile destroyer USS Donald Cook (DDG 75) as part of the Foreign Exchange Training of Midshipmen (FOREXTRAMID) 17 program. The training period aboard Donald Cook began on Aug. 1 and ended on Aug. 12. 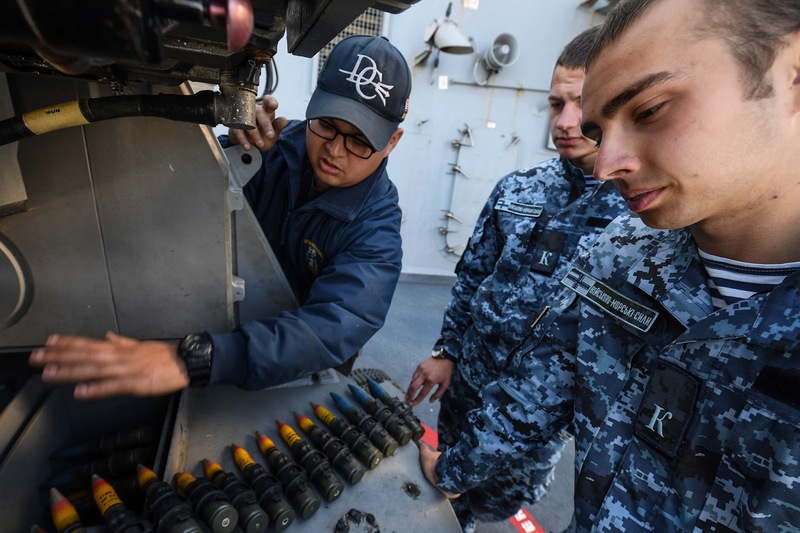 FOREXTRAMID 17 is a Chief of Naval Operation (CNO)-sponsored program and is designed to promote professional and cultural exchange between the U.S. and foreign navies through the exchange of midshipmen first classes and their foreign counterparts. During the FOREXTRAMID program midshipmen are assigned to a cruise for approximately three weeks. During this time, participants undergo extensive training and get to observe how allied and partner nation navies operate. 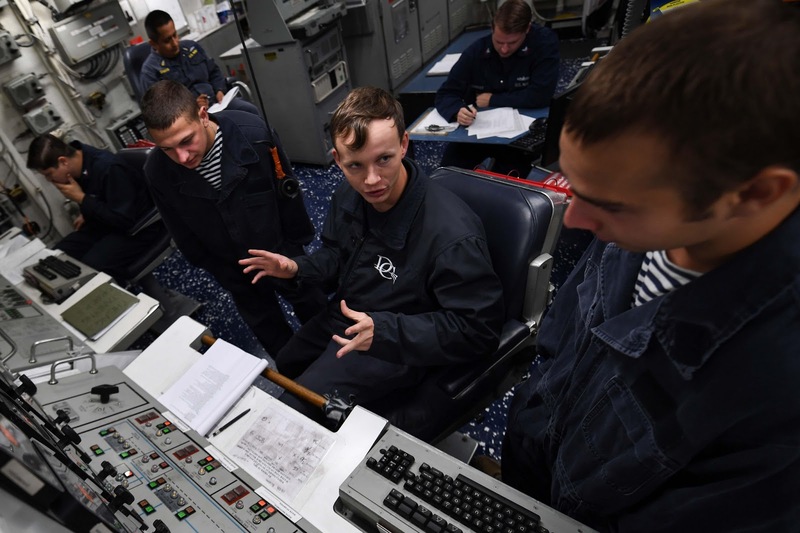 This is a unique experience for Donald Cook and the Ukrainian midshipmen because it is the first time that the Nakhimov Naval Academy has participated in FOREXTRAMID. "It's exciting to host our Ukrainian guests onboard while participating in the multinational exercise Saxon Warrior 2017,” said Cmdr. Timothy Moore, commanding officer of Donald Cook. 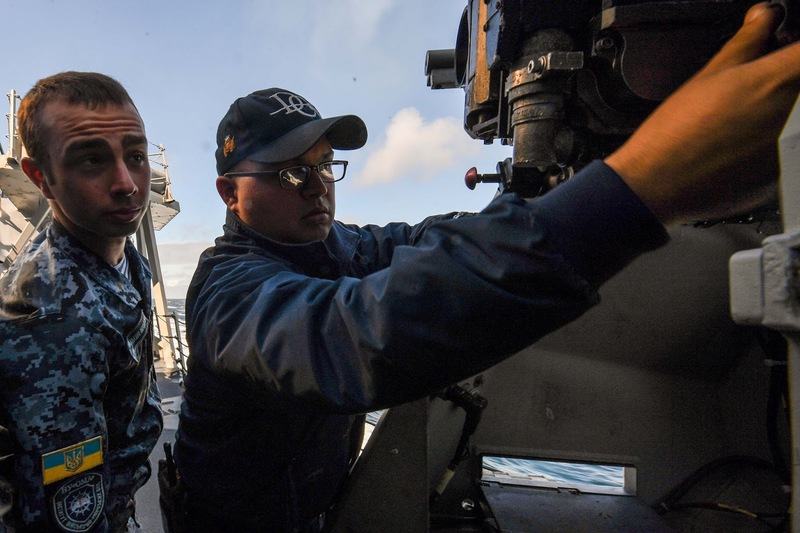 “My Sailors are happy to show them all aspects of USS Donald Cook and discuss ways to improve interoperability between our navies." 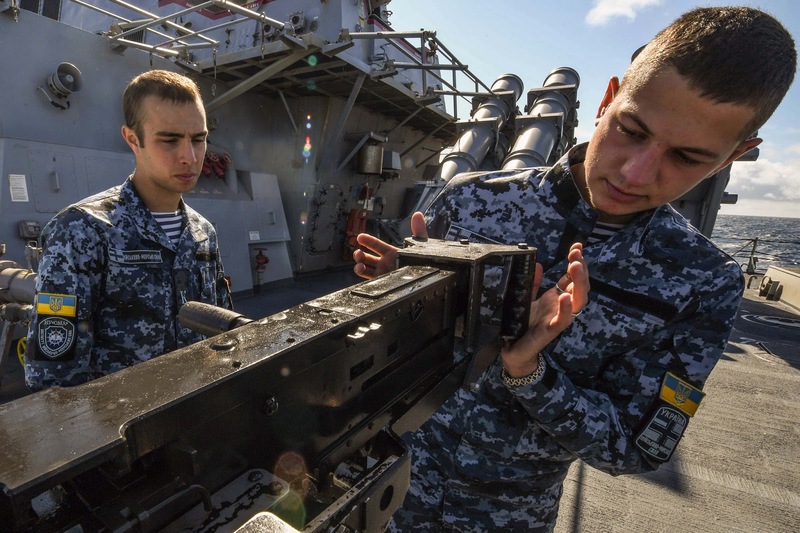 Embarked Ukrainian midshipmen Voropai Stanislav and Dmytro Gromov observed many shipboard evolutions including general quarters drills, fire drills, a five-inch gunnery live-fire exercise, while Donald Cook participated in exercise Saxon Warrior 2017. Saxon Warrior is a carrier strike group (CSG) exercise co-hosted by the United States and the United Kingdom. It is focused on interoperability and robust training with key allies and partners across the full spectrum of CSG warfare areas, demonstrating collective power projection capabilities from the sea. Saxon Warrior began Aug. 1, in the coastal waters off the United Kingdom and is scheduled to end Aug. 10. With a growing partnership between the United States and Ukrainian Navies, this year’s FOREXTRAMID builds upon the already strong relationship between the two countries. 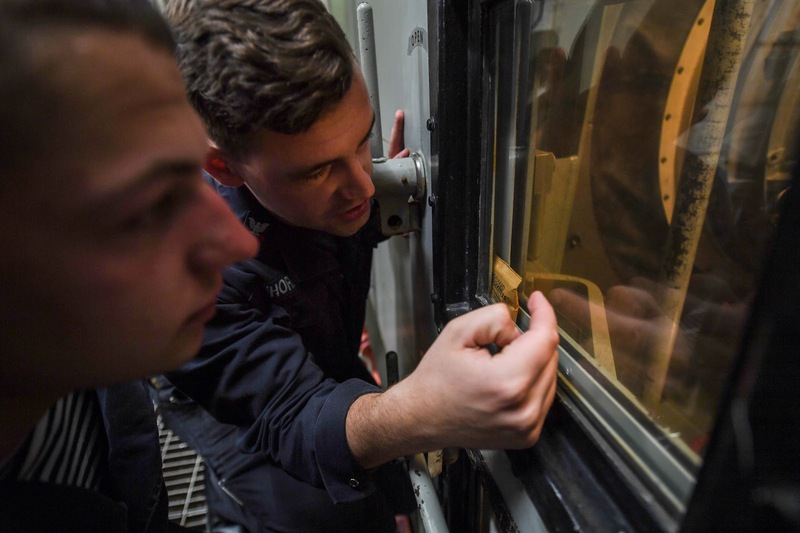 Prior to their arrival aboard Donald Cook, both midshipmen took part in their local summer cruise where they spent time learning more about their future roles in the Ukrainian navy. 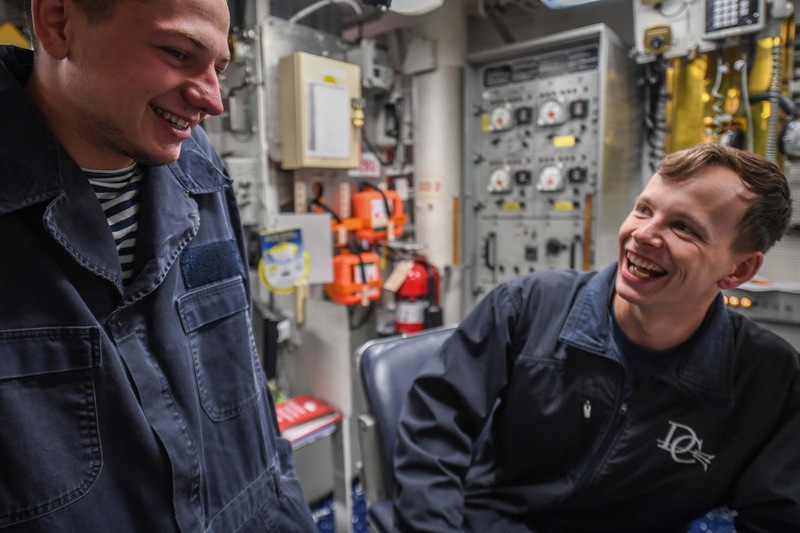 Stanislav spent one month aboard the Ukrainian training ship Smila working in the main engine room, while Gromov spent time at a Ukrainian naval munitions base learning about torpedoes and mines. “This training is a good opportunity to see how both sides work,” said Gromov. 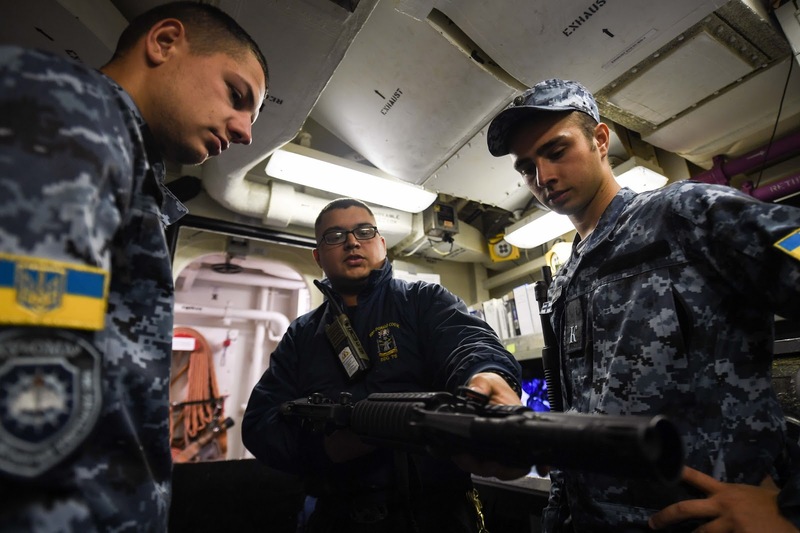 Sailors aboard the Donald Cook worked seamlessly integrate the Ukrainian midshipmen into the ship’s daily operations. After departing Donald Cook, the training for the midshipmen is not complete. Stanislav and Gromov will return to Ukraine where they will attend a leadership course, similar to U.S. military basic training, with the Ukrainian Marine Corps, followed by two more years of university at the Nakhimov Naval Academy.